Price is per 16-inch strand of these beautiful beads. Each tube measures 7mm x 4mm. 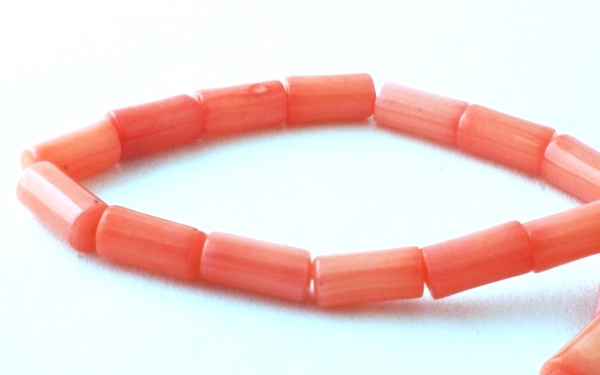 These are genuine coral, dyed, but colour fixed - about 50 tubes to the strand.